Broken Home. The new record by everybody's favorite band. 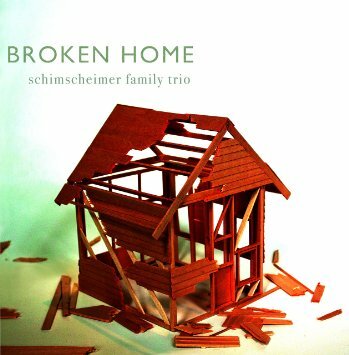 Yes that would be The Schimscheimer Family Trio. Who's in the family? Kasey Knudsen - alto saxophone + electronics; Jon Arkin - drums + electronics; Michael Coleman - keyboards + electronics. That's a lot of electronics and you will hear that they have been put to good use in this music. These songs will stay with you. A winner.